A nineteenth century castaway tale told clearly and swiftly for young readers who want a good story without the usual flowerey style that writers of that century favored. 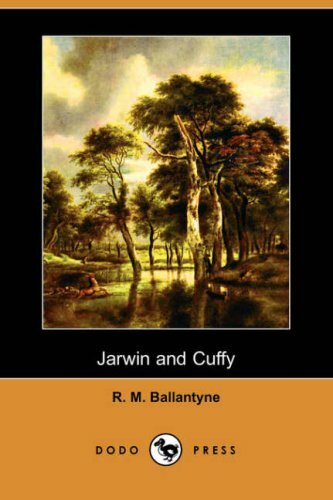 R. M. Ballantyne (1825-1894) was a Scottish juvenile fiction writer. Pauline, Otto, and Dominick were children cast into the wild South Seas ocean. The brave Rigonda family of England, however, clung to life on their lifeboat despite the demise of the rest of the castaways, searching for a sail in the distance. This tale is founded on facts furnished by the Postmaster-General's Annual Reports, and gathered at the General Post-Office of London and its Branches. It is intended to illustrate the subject of postal work and incident throughout the Kingdom. by Robert Michael Ballantyne - Ward, Lock & Co.
Three boys are shipwrecked on a remote South Pacific island, they survive in a sometimes deadly, sometimes beautiful new world. Pirates, cannibals, and sharks are only the part of their adventures. A classic high adventure tale of boyhood courage.